Enter your email to get this free eBook now! 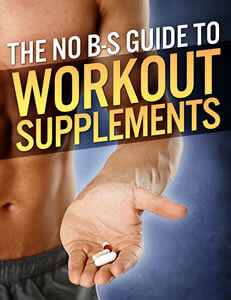 Do you really believe half of the crap supplement companies claim these days? Pump your muscles full of 13,432 milligrams of advanced, muscle-building compounds guaranteed to make you bigger, leaner, and stronger! Thanks to the perfect balance of micronized amino acids, your muscles get exactly what they need to rapidly recover, grow, and smash each and every workout. The marketing hype only gets more and more ridiculous. Who can we believe? Are all supplements a waste of money? The bottom line is if you’re spending money on workout supplements or just want to know the secrets of this industry and its many products, then you want to read this book.